It’s hard even to know how to take it in. I mean, what’s really happening? An employee of a private contractor working for the National Security Agency makes off with unknown numbers of files about America’s developing global security state on a thumb drive and four laptop computers, and jumps the nearest plane to Hong Kong. His goal: to expose a vast surveillance structure built in the shadows in the post-9/11 years and significantly aimed at Americans. He leaks some of the documents to a columnist at the British Guardian and to the Washington Post. The response is unprecedented: an “international manhunt” (or more politely but less accurately, “a diplomatic full court press”) conducted not by Interpol or the United Nations but by the planet’s sole superpower, the very government whose practices the leaker was so intent on exposing. And that’s just for starters. Let’s add another factor. The leaker, a young man with great techno-savvy, lets the world know that he’s picked and chosen among the NSA files in his possession. He’s releasing only those he thinks the American public needs in order to start a full-scale debate about the unprecedented secret world of surveillance that their taxpayer dollars have created. In other words, this is no “document dump.” He wants to spark change without doing harm. But here’s the kicker: he couldn’t be more aware of previous whistleblower cases, the punitive reaction of his government to them, and the fate that might be his. As a result, we now know, he has encrypted the full set of files in his possession and left them in one or more safe places for unknown individuals — that is, we don’t know who they are — to access, should he be taken by the U.S. In other words, from the time Edward Snowden’s first leaked documents came out, it was obvious that he was in control of how much of the NSA’s secret world would be seen. It would be hard then not to conclude that capturing him, imprisoning him, trying him, and throwing away the key is likely to increase, not decrease, the flow of those documents. Knowing that, the Obama administration and the representatives of our secret world went after him anyway — after one man on a global scale and in a way that may not have a precedent. No thought of future embarrassment stopped them, nor, it seems, did they hesitate because of possible resentments engendered by their heavy-handed pressure on numerous foreign governments. The result has been a global spectacle, as well as a worldwide debate about the spying practices of the U.S. (and its allies). In these weeks, Washington has proven determined, vengeful, implacable. It has strong-armed, threatened, and elbowed powers large and small. It has essentially pledged that the leaker, former Booz Allen employee Edward Snowden, will never be safe on this planet in his lifetime. And yet, to mention the obvious, the greatest power on Earth has, as yet, failed to get its man and is losing the public opinion battle globally. Highlighted in all this has been a curious fact of our twenty-first-century world. In the Cold War years, asylum was always potentially available. If you opposed one of the two superpowers or its allies, the other was usually ready to open its arms to you, as the U.S. famously did for what were once called “Soviet dissidents” in great numbers. The Soviets did the same for Americans, Brits, and others, often secret communists, sometimes actual spies, who opposed the leading capitalist power and its global order. Today, if you are a twenty-first-century “dissident” and need asylum/protection from the only superpower left, there is essentially none to be had. Even after three Latin American countries, enraged at Washington’s actions, extended offers of protection to Snowden, these should be treated as a new category of limited asylum. 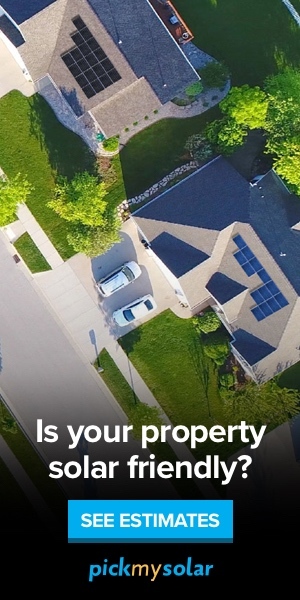 After all, the greatest power on the planet has, since 9/11, shown itself perfectly willing to do almost anything in pursuit of its definition of “security” or the security of its security system. Torture, abuse, the setting up of secret prisons or “black sites,” the kidnapping of terrorist suspects (including perfectly innocent people) off the streets of global cities and in the backlands of the planet, as well as their “rendition” to the torture chambers of complicit allied regimes, and the secret surveillance of anyone anywhere would only start a far longer list. Nothing about the “international manhunt” for Snowden indicates that the Obama administration would be unwilling to send in the CIA or special operations types to “render” him from Venezuela, Bolivia, or Nicaragua, no matter the cost to hemispheric relations. Snowden himself brought up this possibility in his first interview with Guardian columnist Glenn Greenwald. “I could,” he said bluntly, “be rendered by the CIA.” This assumes that he can even make it to a land of exile from somewhere in the bowels of the international terminal of Moscow’s Sheremetyevo airport without being intercepted by Washington. It’s true that there remain some modest limits on the actions even of a rogue superpower. It’s hard to imagine Washington dropping its kidnappers into Russia or China to take Snowden, which is perhaps why it has put such pressure on both countries to turn him in or hustle him along. With smaller, weaker lands, however, non-nuclear allies or enemies or frenemies, don’t doubt the possibility for a second. If Edward Snowden is proving one thing, it’s this: in 2013, Planet Earth isn’t big enough to protect the American version of “dissidents.” Instead, it looks ever more like a giant prison with a single implacable policeman, judge, jury, and jailer. In the Cold War years, the two nuclear-armed superpowers practiced what was called “deterrence theory,” or more aptly MAD, short for “mutually assured destruction.” Think of it as the particularly grim underside of what might have been but wasn’t called MAA (mutually assured asylum). The knowledge that no nuclear first strike by one superpower could succeed in preventing the other from striking back with overwhelming force, destroying them both (and possibly the planet) seemed, however barely, to hold their enmity and weaponry at bay. It forced them to fight their wars, often by proxy, on the global frontiers of empire. Now, with but one superpower left, another kind of deterrence theory has come into play. Crucial to our era is the ongoing creation of the first global surveillance state. In the Obama years, the sole superpower has put special effort into deterring anyone in its labyrinthine bureaucracy who shows a desire to let us know what “our” government is doing in our name. The Obama administration’s efforts to stop whistleblowers are becoming legendary. It has launched an unprecedented program to specially train millions of employees and contractors to profile coworkers for “indicators of insider threat behavior.” They are being encouraged to inform on any “high-risk persons” they suspect might be planning to go public. Administration officials have also put much punitive energy into making examples out of whistleblowers who have tried to reveal anything of the inner workings of the national security complex. In this way, the Obama administration has more than doubled the total whistleblower prosecutions of all previous administrations combined under the draconian World War I-era Espionage Act. It has also gone after Army Private Bradley Manning for releasing secret military and State Department files to WikiLeaks, not only attempting to put him away for life for “aiding the enemy,” but subjecting him to particularly vindictive and abusive treatment while in military prison. In addition, it has threatened journalists who have written on or published leaked material and gone on expeditions into the telephone and email records of major media organizations. All of this adds up to a new version of deterrence thinking in which a potential whistleblower should know that he or she will experience a lifetime of suffering for leaking anything; in which those, even in the highest reaches of government, who consider speaking to journalists on classified subjects should know that their calls could be monitored and their whispers criminalized; and in which the media should know that reporting on such subjects is not a healthy activity. This sort of deterrence already seemed increasingly extreme in nature; the response to Snowden’s revelations took it to a new level. Though the U.S. government pursued WikiLeaks founder Julian Assange abroad (while reportedly preparing to indict him at home), the other whistleblower cases might all be considered national security ones. The manhunt against Snowden is something new. Through it, Washington is now punitively expanding twenty-first century deterrence theory to the world. The message is this: nowhere will you be safe from us if you breach U.S. secrecy. Snowden’s will surely be a case study in how far the new global security state is willing to go. And the answer is already in: far indeed. We just don’t yet know exactly how far. In this light, no incident has been more revealing than the downing of the plane of Bolivian President Evo Morales, the democratically elected head of a sovereign Latin American nation, and not an official enemy of the United States. Angry Bolivian authorities termed it a “kidnapping” or “imperialist hijack.” It was, at the least, an act for which it’s hard to imagine a precedent. Evidently officials in Washington believed that the plane bringing the Bolivian president back from Moscow was also carrying Snowden. As a result, the U.S. seems to have put enough pressure on four European countries (France, Spain, Portugal, and Italy) to force that plane to land for refueling in a fifth country (Austria). There — again, U.S. pressure seems to have been the crucial factor — it was searched under disputed circumstances and Snowden not found. So much is not known about what happened, in part because there has been no serious reporting from Washington on the subject. The U.S. media has largely ignored the American role in the downing of the plane, an incident regularly described here as if the obvious hadn’t happened. This may, at least in part, be the result of the Obama administration’s implacable pursuit of whistleblowers and leakers right into the phone records of reporters. The government has made such a point of its willingness to pursue whistleblowers via journalists that, as Associated Press President Gary Pruitt recently pointed out, national security sources are drying up. Key figures in Washington are scared to talk even off the record (now that “off” turns out to be potentially very “on”). And the Justice Department’s new “tighter” guildelines for accessing reporters’ records are clearly filled with loopholes and undoubtedly little more than window dressing. Still, it’s reasonable to imagine that when Morales’s plane took off from Moscow there were top U.S. officials gathered in a situation room (à la the bin Laden affair), that the president was in the loop, and that the intelligence people said something like: we have an 85% certainty that Snowden is on that plane. Obviously, the decision was made to bring it down and enough pressure was placed on key officials in those five countries to cause them to bow to Washington’s will. One can certainly imagine that, but know it? 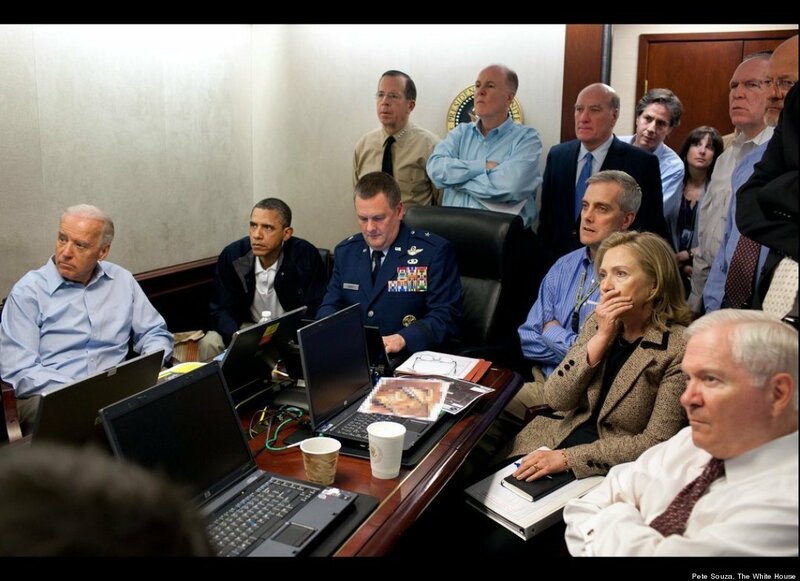 At the moment, not a chance and, unlike in the raid that killed bin Laden, a triumphant situation-room photo hasn’t been released, since there was, of course, no triumph. Many questions arise. Why, to mention just one, did Washington not allow Morales’s plane to land for refueling in Portugal, as originally planned, and simply strong-arm the Portuguese into searching it? As with so much else, we don’t know. We only know that, to bring five countries into line that way, the pressure from Washington (or its local representatives) must have been intense. Put another way: key officials in those countries must have realized quickly that they stood in the way of a truly powerful urge by the planet’s superpower to get one fugitive. It was an urge so strong that it overrode any other tactical considerations, and so opened the way for Venezuela, Bolivia, and Nicaragua to offer asylum to Snowden with the support of much of the rest of Latin America. Of course, such a scenario is inconceivable on this one-way planet. So instead, just think about the silence here over the Morales incident, the lack of coverage, the lack of reporting, the lack of outrage, the lack of shock, the lack of… well, just about anything at all. Instead, the twenty-first-century version of deterrence theory ruled the day, even though Snowden is the proof that deterrence via manhunts, prosecution, imprisonment, and the like has proven ineffective when it comes to leaks. It’s worth pointing out that what may be the two largest leaks of official documents in history — Bradley Manning’s and Snowden’s — happened in a country increasingly under the sway of deterrence theory. And yet don’t think that no one has been affected, no one intimidated. Consider, for instance, a superior piece of recent reporting by Eric Lichtblau of the New York Times. His front-page story, “In Secret, Court Vastly Broadens Powers of NSA,” might once have sent shock waves through Washington and perhaps the country as well. It did, after all, reveal how, in “more than a dozen classified rulings,” a secret FISA court, which oversees the American surveillance state, “has created a secret body of law” giving the NSA sweeping new powers. At most moments in American history, the revelation that such a secret court, which never turns down government requests, is making law “almost” at the level of the Supreme Court would surely have caused an outcry in Congress and elsewhere. However, there was none, a sign either of how powerful and intimidating the secret world has become or of how much Congress and the rest of Washington have already been absorbed into it. No less strikingly — and again, we know so little that it’s necessary to read between the lines — Lichtblau indicates that more than six “current and former national security officials,” perhaps disturbed by the expanding powers of the FISA court, discussed its classified rulings “on the condition of anonymity.” Assumedly, at least one of them (or someone else) leaked the classified information about that court to him. Fittingly enough, Lichtblau wrote a remarkably anonymous piece. Given that sources no longer have any assurance that phone and email records aren’t being or won’t be monitored, we have no idea how these shadowy figures got in touch with him or vice versa. All we know is that, even when shining a powerful light into the darkness of the surveillance universe, American journalism now finds itself plunging into the shadows as well. Such a shadow government placing its trust in secret courts and the large-scale surveillance of populations, its own included, while pursuing its secret desires globally was just the sort of thing that the country’s founding fathers feared. In the end, it hardly matters under what label — including American “safety” and “security” — such a governing power is built; sooner or later, the architecture will determine the acts, and it will become more tyrannical at home and more extreme abroad. Welcome to the world of the single rogue superpower, and thank your lucky stars that Edward Snowden made the choices he did. It’s eerie that some aspects of the totalitarian governments that went down for the count in the twentieth century are now being recreated in those shadows. There, an increasingly “totalistic” if not yet totalitarian beast, its hour come round at last, is slouching toward Washington to be born, while those who cared to shine a little light on the birth process are in jail or being hounded across this planet. We have now experienced deterrence theory in two centuries. Once it was brought to bear to stop the wholesale destruction of the planet; once — and they do say that if the first time is tragedy, the second is farce — to deter a small number of whistleblowers from revealing the innards of our new global security state. We came close enough to total tragedy once. If only we could be assured that the second time around it would indeed be total farce, but at the moment, as far as I can tell, no one’s laughing. 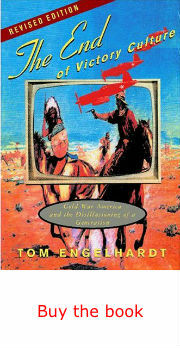 Tom Engelhardt, co-founder of the American Empire Project and author of The United States of Fear as well as a history of the Cold War, The End of Victory Culture (just published in a Kindle edition), runs the Nation Institute’s TomDispatch.com. His latest book, co-authored with Nick Turse, is Terminator Planet: The First History of Drone Warfare, 2001-2050. Follow TomDispatch on Twitter and join us on Facebook or Tumblr. Check out the newest Dispatch book, Nick Turse’s The Changing Face of Empire: Special Ops, Drones, Proxy Fighters, Secret Bases, and Cyberwarfare.